The Nigeria Centre for Disease Control (NCDC) says it is ready to host the maiden Lassa fever international conference in the country. The Chief Executive Officer, NCDC, Dr Chikwe Ihekweazu, said this at a news conference last Monday in Abuja. He said that the conference, to be organised in partnership with other stakeholders, would hold between January 16 and January 17, in Abuja. According to him, the opportunity created by the ‘anniversary’ of the discovery of the virus is being used to bring researchers and practitioners from across the world. He said that the researchers and practitioners would share and appraise global efforts towards the control of the Lassa fever virus disease. Ihekweazu said that the conference would also be an opportunity to increase global health focus on the disease, which was found mostly in West Africa. 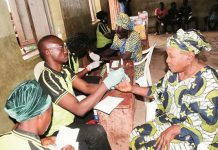 The NCDC chief executive added that as awareness and disease surveillance systems improved across West African countries, more cases were being detected. He explained that Lassa fever was a zoonotic disease, meaning that humans became infected from contact with infected animals. “The animal reservoir, or host, of Lassa virus is a rodent of the genus Mastomys, commonly known as the `multimammate rat. “Mastomys rats infected with Lassa virus do not become ill, but they can shed the virus in their urine and faeces”, he noted. “Because the clinical course of the disease is so variable, detection of the disease in affected patients has been difficult,” he added. Ting that Ihekweazu however said that 50 years after the detection of the first Lassa fever case in Nigeria, outbreaks had been recorded yearly in parts of the country. NCDC’s Deputy Director, Ms Elsie Ilori, said that there were ongoing plans to review the present guidelines as well as develop a five-year strategic plan to tackle Lassa fever in Nigeria. IIori said that in 2018, Nigeria experienced the largest reported outbreak of Lassa fever, noting that of the 36 States in the country 23 states were affected. She said that these incidences had brought Lassa fever to the fore of public discourse thus encouraging discussions around lessons for future outbreaks. She however noted that the 50th year discovery of the virus would provide an opportunity for the scientific community to reflect on what was known. 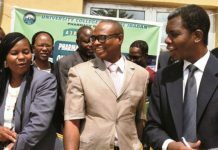 The News Agency of Nigeria (NAN) reports that the conference hopes to harness gaps that exist and prioritise the research agenda for the future.